HPL means High Pressure Laminate, it a decorative laminate of furniture surface materials or wall paneling. 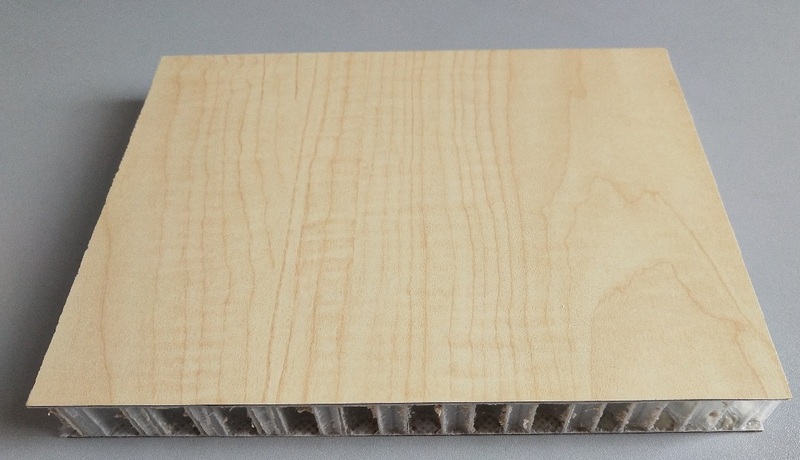 HPL PP honeycomb Composite is a combination of HPL decorative sheet and pp honeycomb core, the advantages are:1) colorful surface;2) light weight;3) strong structure;4)no water or moisture absorption. Base on the test, For 20mm thick composite, the area weight is about 5 kgs/m2, this is only 1/3-1/2 of the area weight of plywood. This special composite can be widely used in RV, light weight furnitures and other decorative constructions.